← How quickly should I respond to a job ad? How do you pick your job references? More and more places these days ask you to submit references along with your application, rather than waiting until you get to the final rounds of the selection process as had been the norm in the past. So how do you decide on references to have ready for any application? First, pick former supervisors and coworker who think highly of you as a professional, not just as a person. A hiring manager doesn’t want to hear how much fun you are at parties or on fishing trips, he or she wants to know how you work and what motivates you, along with what your strengths and weaknesses are. 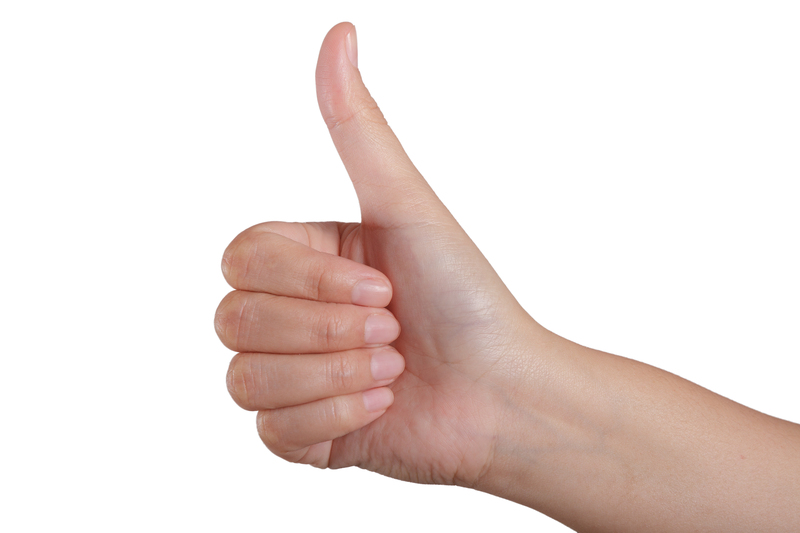 Who will give you a thumbs up reference? Pick wisely. Second, do pick references who think highly of you. This might seem obvious, but it’s amazing how many times people pick folks who have little nice to say about them. I’ve been a hiring manager who has experienced this in calling someone’s reference. Talk to your references first, perhaps even role play with them to see how they respond to questions about you. I once used a former colleague as a reference only to hear after I had been hired that instead of responding to the questions asked him about how I would fit into the hiring company’s work environment, he lapsed into talking about how he didn’t understand corporate culture but his ex-wife had and that’s why she got ahead while he was left behind at a place they both had worked! I use other references now. Third, and perhaps most important, check first that it’s ok with the person to use them as a reference. No one likes surprise phone calls. Do that to someone and chances they’ll have anything good to say about you likely will go down. This entry was posted in job hunting, Job search tips and tagged job hunting, personal brand building, references. Bookmark the permalink.